A physician who listens to you. Convenient appointment times. Locations throughout the area. After hours Urgent Care with access to your medical history. Medical records linked from your physician's office to the lab and through any hospitalization. With 22 locations throughout the area, Methodist Physicians Clinics Primary Care providers are specialists in Family Medicine, Internal Medicine, OB/GYN and Pediatrics. Family Medicine - caring for all ages. Family medicine doctors treat all ages - from infants through adult. They oversee your health and medical history and ensure you receive the care and preventive health care you need throughout your entire life. Find a family medicine clinic near you. New patients are always welcome. Internal Medicine - specializing in the care of adults. Find an internal medicine provider near you. We welcome new patients. Better Health with a Chronic Disease. Diabetes, heart disease – adults are often diagnosed with chronic diseases. At Methodist Physicians Clinic, we work with you to set goals and keep you healthy – and out of the hospital or even our office! 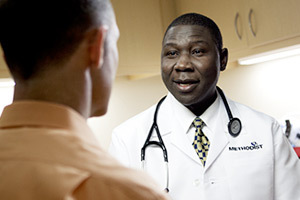 Each of our family and internal medicine clinics work with a health coach - creating a team to keep you healthy. Our Medical Home Teams help over 15,000 diabetic patients manage their diabetes and prevent complications. For generations, we have been close to you - just down the street. With 22 locations throughout the Omaha metro, our clinics are close to you. We also have 4 Urgent Care locations with evening, weekend and holiday hours.